The mighty and magnificent Brachiosaurus was a gargantuan dinosaur roaming the Earth roughly 150 million years ago during the Jurassic period. Fossil records, first discovered in 1903, indicate that the branches of this specific species lived across the African and North American continents. These warm-blooded behemoths could weigh as much as 80 tons, had an estimated life span of 100 years, and stood up to 60 meters tall, using their exceptional neck length to graze on treetops. Their teeth, which were shaped similarly to spoons, were ideal for stripping vegetation off of plants. It is estimated that up to 880 pounds of plant matter had to be consumed per day for survival. The name of these long-necked creatures means “arm lizard,” and was bestowed upon these huge herbivores because their front limbs were longer than their hind limbs. There is some debate in scientific circles as to the exact appearance of their surprisingly small heads. For quite some time it was believed that the giant lizard’s nostrils were pushed back and high on the head, closer to the eyes, while recent developments in paleontology call that theory into question and propose that the nostrils were placed just above the mouth like most other creatures. Fossil records show that these gentle giants stood on their toes with their heels raised, a stance that is known as digitigrade. Due to their massive size and bone structure, it is believed that they primarily lived in relatively flat forested regions and would have likely avoided hills in general due to how much energy getting up one would expend. It is speculated by scientists that they became fully extinct at the end of the Cretaceous period as a result of a meteor impacting Earth. While these magnificent animals are extinct, getting to experience the wonder of their size and build is not impossible. 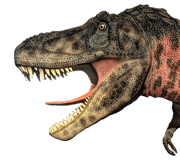 My Dinosaurs, an animatronics company, dutifully recreates dinosaurs at their full size with the input of paleontology experts. These animatronic marvels make many dinosaur species appreciable in ways that fossils never could. Realistic and moving dinosaur models bring joy to children and paleontology enthusiasts lovers alike, and provide a tangible way to appreciate dinosaurs in as realistic a framing as possible. Painstaking detail is taken to make the skin, eyes, and even movements of the animatronics as close as possible to current scientific understandings of dinosaurs. My Dinosaurs’ animatronics are appropriate for museum exhibits and schools to foster and encourage learning and love of dinosaurs, and are also delightful and fun additions to shopping malls, amusement parks, and anywhere that encourages the delight of these creatures to be loved and appreciated. This entry was posted in Wikipedia and tagged Animatronic Huge Dinosaur, Brachiosaurus, Herbivorous Dinosaur.